Established in 1995, Fuller Media provides speaking and voice over services to organizations worldwide. Fuller Media has managed effective ad campaigns for a variety of clients and has helped increase the impact of communication ministries. A professional communicator, John has spoken to church and business audiences internationally about marriage and parenting, leadership, communication, orphan care, business practices, creativity and other topics. His winsome approach incorporates personal humor, biblical principles and practical insights. 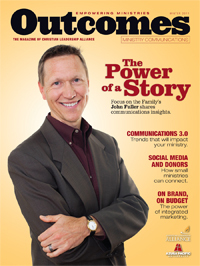 Having served in various board and advisory roles for radio associations, John’s industry leadership was featured in an article in Christian Leadership Alliance’s Outcomes magazine. He knows how to guide you from mission and strategy to messaging impact. Fuller Media will help you plan an outstanding communication strategy. We can help you plan and organize your messages and media presence for maximum effectiveness. From half-day executive meetings to all-day staff meetings, we’ll deliver results that keep your business moving forward. Past clients include award-winning Encouragement FM, among others. From a 60-second PSA to a 6-hour audio book, Fuller Media can provide the voice over service that you need. We can give you warm and friendly, serious or light hearted, professional or conversational. Clients have included Youth With A Mission, Tyndale House Publishers, Zondervan Publishers, WaterBrook Press, Redcloud Ranch, and Prison Fellowship’s Angel Tree ministry. Success begins with the development and execution of a good media strategy. At Fuller Media, strategic planning leads to results! We’ll help you determine the right strategy for your advertising needs, identify key measurables, and create great content. We work with industry leaders across the media landscape who will help deliver results. Clients who have counted on our media expertise include Anne Graham Lotz’s AnGeL Ministries and Great Starts Sports Camps.